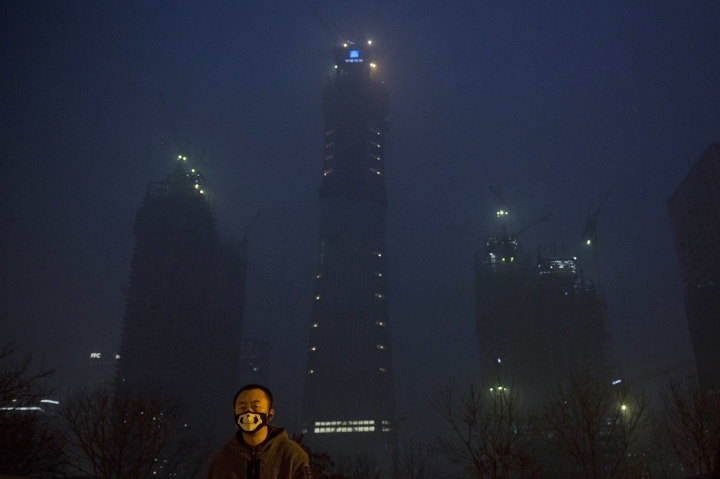 BEIJING — The dense smog that has smothered much of China for five days may finally soon clear, forecasters and state media said Wednesday, giving relief to hundreds of millions of people breathing dangerously polluted air and struggling under the government's emergency measures. The national weather authority forecast that nighttime winds will push out much of the pollution that has left Beijing and dozens of other cities under a five-day "red alert," the highest level in China's four-tiered warning system. 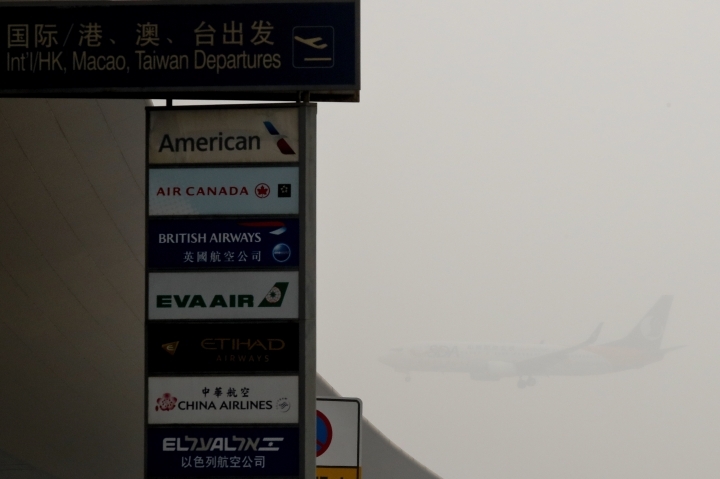 Schools were closed, flights canceled and factories and highways shut down in attempts to improve the air quality. 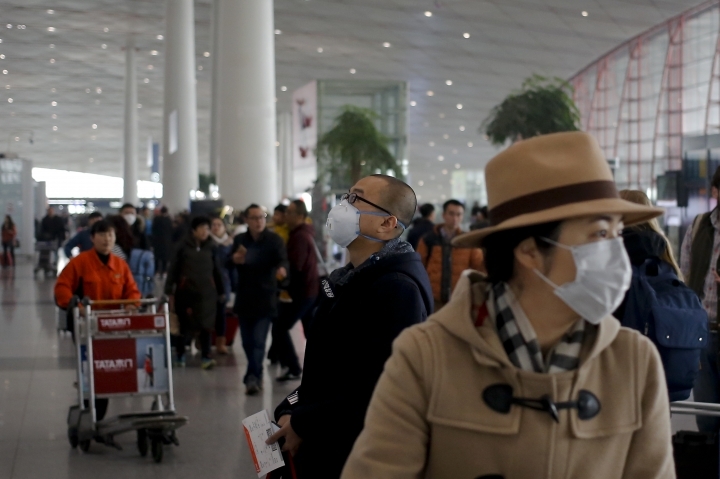 But the prolonged red alert disrupted the lives of many in Beijing's capital. A grandmother and her grandson ventured outside their home on Wednesday for the first time in several days. The boy had stayed home from school since Monday and was getting bored inside, said the woman, who would only give her surname of Yang. "The pollution is rather scary, so we don't go out or go very far," she said. 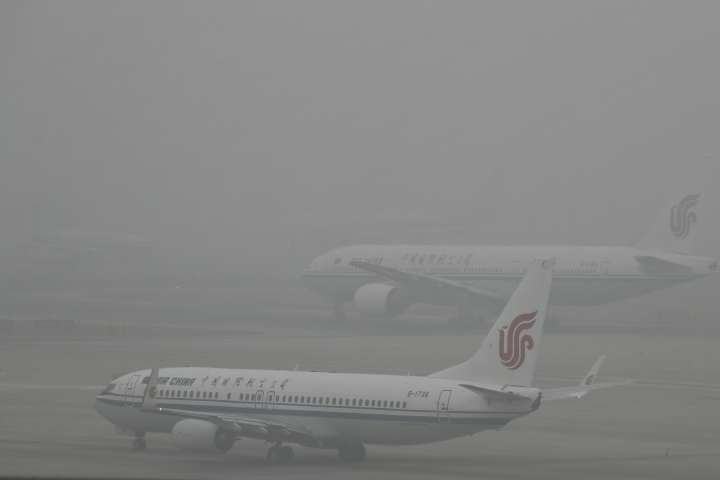 Beijing's air pollution readings remained many times above safe levels. 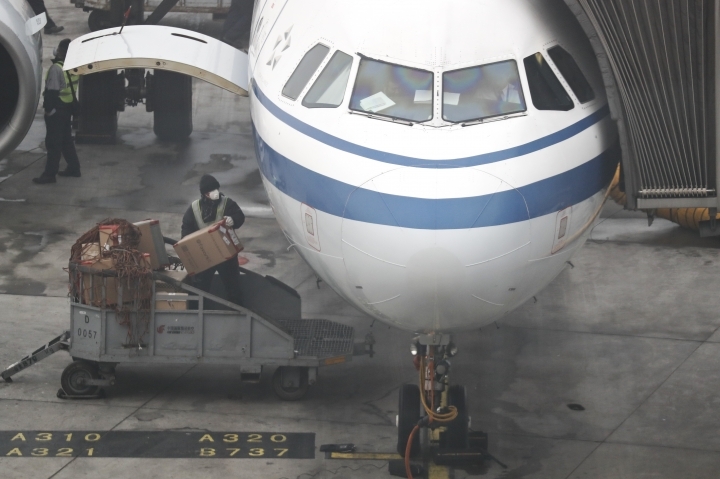 WHO designates the safe level of PM2.5, the tiny, poisonous particles that are easily inhaled and damage lung tissue, at 25 micrograms per cubic meter. 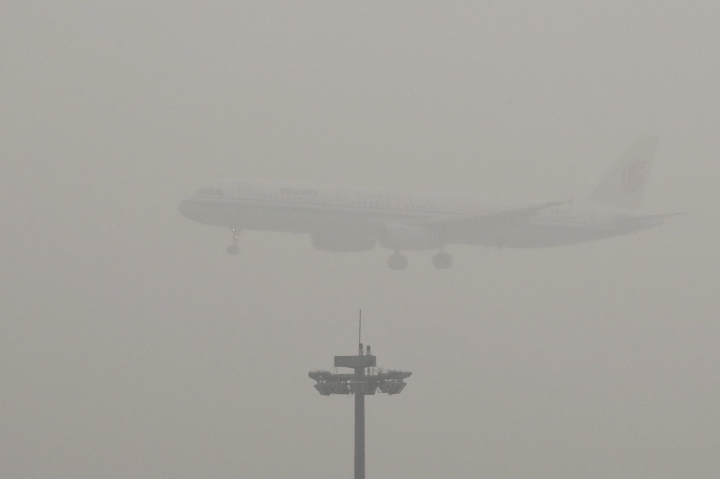 Those readings exceeded 400 throughout Beijing, with nearby cities worse, on Wednesday. 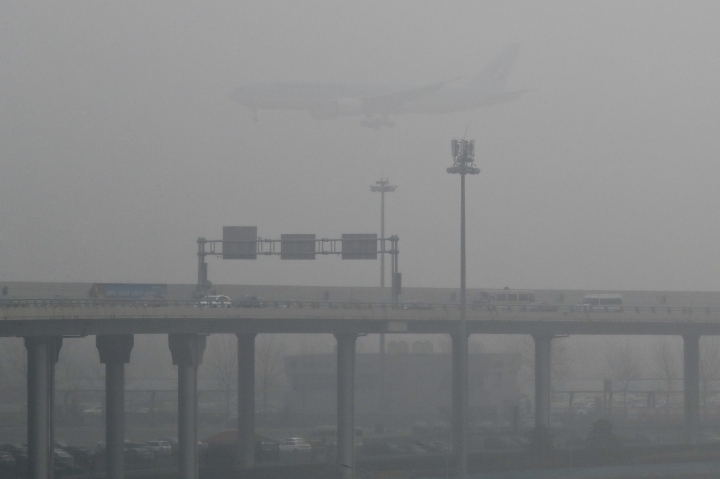 China has long had some of the worst air in the world, blamed on its reliance on coal and a surplus of older, less efficient cars. It has set pollution reduction goals, but also has plans to increase coal mining capacity and eased caps on production when faced with rising energy prices. 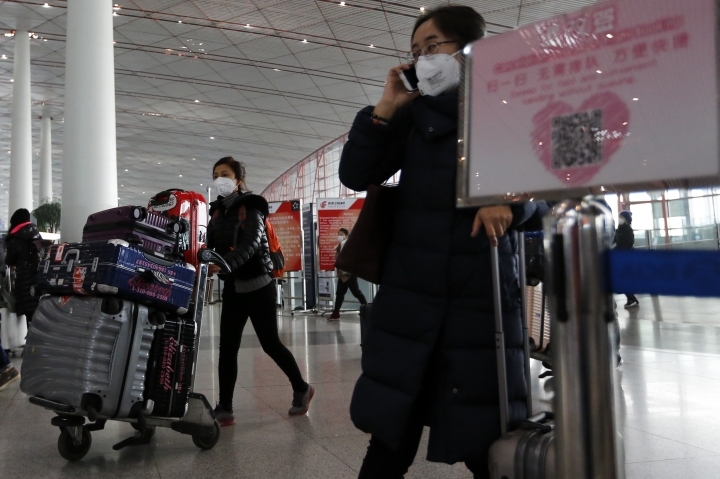 Ordinary Chinese pay close attention to air pollution readings and government statements on smog, often with deep skepticism. 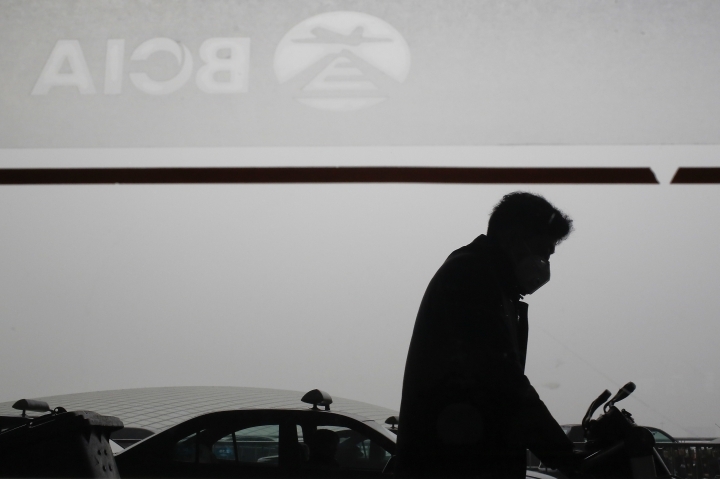 China's Ministry of Environmental Protection acknowledged this week that its inspectors found some factories violating anti-pollution edicts. And despite announcements of school closings in areas under red alerts, photos shared widely on Chinese social media showed students in Henan province hunched over their desks taking an exam while shrouded in a gray haze. State media reported the school principal was suspended "for causing a bad impact on society." 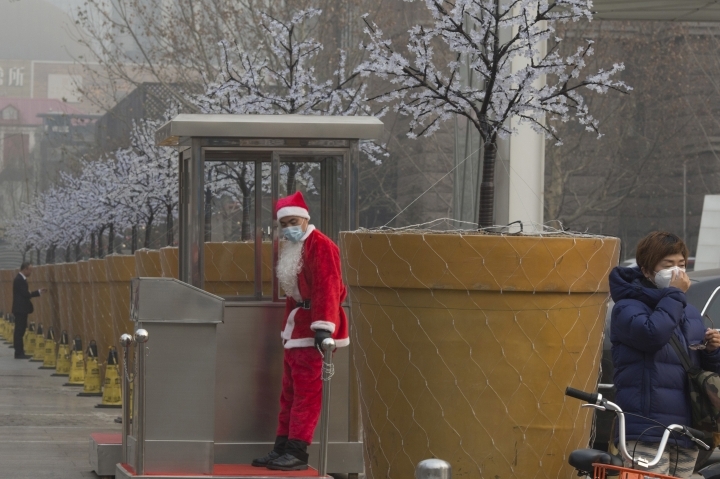 The shutdown of hundreds of construction sites — and a ban in some parts of Beijing on spray painting — has affected the thousands of migrants from China's provinces who come to the capital seeking menial work. "We have stopped for five days now," said one migrant worker from Henan province who gave his surname of Geng. "We haven't earned a penny. We live off our own savings. 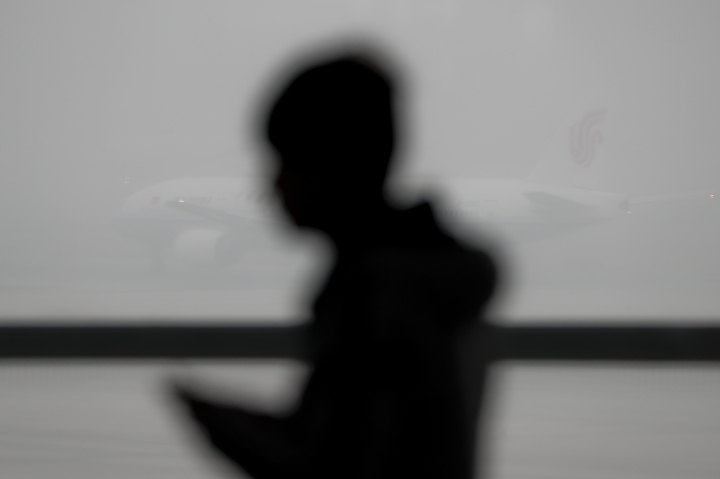 We spend 30 RMB (about $4.30) on living expenses every day that we don't work." Associated Press journalist Helene Franchineau and news researcher Yu Bing contributed to this report.